The Bay of Algeciras Logistics Area, promoted by the Andalusian Government and Algeciras Port Authority, will be soon the gateway for trade from both the Asian and American marketplaces bound for Spain, Europe and Africa. With a high quality logistic floor surface area of around 300 hectares, the extension of the Intermodal Terminal and its connection of the Trans European Transport Network, is a much needed link to promote the implementation of added-value logistics activities and services to cargoes. Very soon the Port of Algeciras Bay will consolidate itself not only as a transhipment hub, but also as the natural platform for the arrival and departure of cargoes. Being a business solution to companies inherently linked to cargo transportation, logistics and distribution. A local team of lawyers, business associates, accountants, tax & human resources advisors and marketing professionals is the right tool to succeed with the setting up of your company in Algeciras Logistics Area. We offer business programs for company owners so they have our permanent assistance throughout the life of the company. My wife and I have recently had cause to use lawyers in Spain to recover monies paid by way of deposit on an incomplete development in Murcia. The deposit was paid to the developer in 2006 and we had notionally written off the money and felt that the chances of recovery were slender. However, we joined a group action through Costaluz Lawyers following their success in earlier such actions. The action involved enforcement of a guarantee promised by a Spanish Bank in connection with the development. Dear Maria, Thank you once again for all the efforts that you and your team have made to produce a successful outcome for me. As I said to Keith, I was not entirely confident that the courts would actually find in my favour, especially after such a long time, but your continued efforts have indeed won the day. Asefa is now concluded, and I await the final outcome from the Bahia case with anticipation. I will be very happy to leave a positive testimonial. I wish you all the best in you future endeavours, Iain. My sincere thanks to everyone at Costaluzlawyers for your professionalism in dealing With mine and my late husbands case. You have treated me with respect and kept me informed At every stage. I appreciate the breakdown you have given of all the charges. I really appreciate that all your correspondence was in English and Spanish. I would advise anyone with a similar issue to mine, to use your company. My three words for your company are: Professional Honest Transparent. God bless Costaluz Lawyers and all who work there. "Dear Maria, Thank you once again for all the efforts that you and your team have made to produce a successful outcome for me. As I said to Keith, I was not entirely confident that the courts would actually find in my favour, especially after such a long time, but your continued efforts have indeed won the day. Asefa is now concluded, and I await the final outcome from the Bahia case with anticipation. I will be very happy to leave a positive testimonial. I wish you all the best in you future endeavours, Iain." “I am extremely happy with the service I have received from Manuel Guerrero who has successfully managed to cancel my time-share contract which I have been struggling to do for many years. He kept me fully aware of everything that was happening and managed to conclude the work required very quickly. I would recommend this Spanish law firm to anyone, they have been brilliant. I cannot praise Maria and her team highly enough. After being misinformed by the builders representatives and legal people it was very reassuring to speak to Maria and very pleased with the successful outcome. “We would like to give a big thank you to Maria and staff for getting us our refund of our deposit from the Corvera development. We were on Phase 3 and with no house being built we asked Costaluz Lawyers to look at getting our deposit back from the developer. We know it takes time ,however the result was perfect and we received our Money shortly after the decision was granted in our favour. 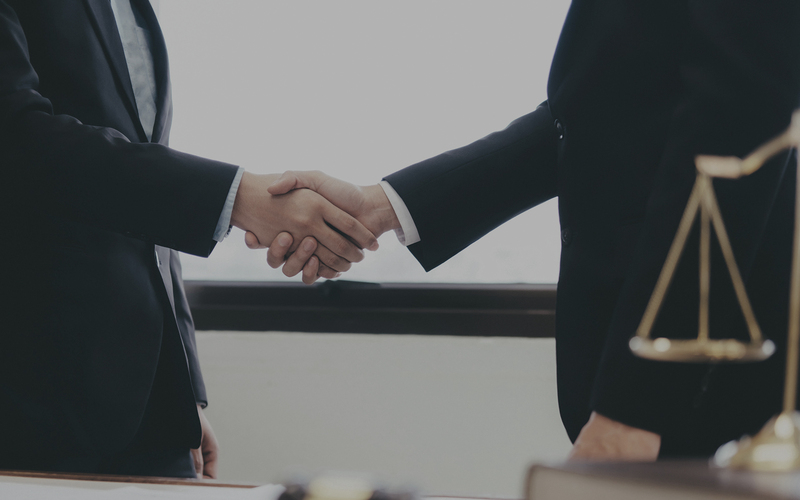 We are pleased to pass on our recommendations to use Costaluz Lawyers for anyone looking for a hard working team to help with any Legal issue you may have. would like to thank Maria and her team for getting a positive result of my request for Dation (HBKeys). I had nearly given up hope as it had been a couple of years but I would urge anyone not to give up hope as it does take a while and patience is all that is needed. Many thanks to Maria and her team. They helped us reach a fantastic settlement with our Spanish bank with regard to our property in Spain. I thoroughly researched solicitors in Spain before hiring Maria. I studied one of her previous cases in particular before hiring CostaLuz. Other solicitors had failed. Maria took on that very same case. This time with her know how and knowledge of Spanish property law, the court came down on the side of the property owner and not the bank. I can whole heartedly recommended Maria and her team at Costaluz. Dear Maria L de Castro I would like to recommend this firm of Spanish Lawyers to anyone who is struggling with a mortgage or property in Spain they helped us resolve our problem with our mortgage/property in Spain which we could never of done ourselves. So to all the staff who dealt with us thank you very much. would like to say a big Thank You to Maria and her team for negotiating with our bank on our behalf regarding the settlement of our mortgage with them. We were tied into the banks clauses after purchasing an apartment in 2007 just before the global financial crises and found ourselves with escalating mortgage interest rates, diminishing tourist and rental opportunities and a property that was worth 50% less than the purchase price had been. The situation was financially untenable and we thought we would be well past retirement before the economy gets back to anywhere near the booming pre 2007 years. Diane and I are very grateful and appreceative of all your teams hard work in carrying out the conveyancing of our property purchase and of the very proffessional manner in which your services were carried.out. Many personal thanks to Mar Durio. Hi Keith, I would just to say how pleased we have been with the services of Costa Luz Lawyers and in particular with the assistance that Mar Durio has given us with selling our house in Islantilla. I hope to buy another property in Spain in the future and will most certainly be giving you a call when I do. Thank you once again for the outstanding service and support. Keith: Lex and I cannot thank you enough for all your hard work. We owe you a huge debt of gratitude. Hi Keith We recieved the money into bank yesterday and can not thank you enough for all your hard work. Without you I am sure we would all have lost our money. Cheers! Hi Keith At last we have a chance to respond. Both myself and Vivien would like to say an enormous thank you for all that you have done to get us to this stage. Without you we would still be banging our heads against a brick wall with no chance of getting our money back. Anybody who under values what you have achieved on our behalf should be ignored or reminded where they would have been without you and the time and effort you have put in to getting us to this stage. If at any stage a reunion of all the people involved is envisaged we would like to know but would understand if you said enough was enough. With regards and immeasurable thanks. Maria and her team at Costaluz Lawyers have been fantastic at recovering not only the deposits but also expenses on the properties we tried to purchase in El Pinet,Spain. Please feel free to use this testimonial on any website you see suitable….once again many thanks…. I have been acquainted with Maria de castro for more than 11 years while I have been fighting to have my money refunded for non completion of property. From the beginning I was sure that I would eventually receive what was mine. Her company has kept me informed at all times with updates on a regular basis. Over these 11 years I have seen Maria implement improvements in communication,giving me more confidence in a good outcome. At all times they have dealt with me with complete transparency and honesty. Communications have always been courteous. When dealing with a difficult and complex legal system I have been comforted in the knowledge that Costaluz is on my side. I would and have recommended them to friends who are buying property in Spain. My wife and I would like to express our thanks for an excellent and extremely professional service. We have already passed on your details to some friends of ours. Many thanks to Maria L De castro and her team for their efforts and successful conclusion after many years of litigation. My advice to Maria´s existing and future clients is to stay the course, there is light at the end of the tunnel. I had almost given up any hope of recovering my deposit for an off plan property purchase in Spain until I discovered Costa Luz lawyers. They explained the law to me and how to recover my money through the Spanish courts which is something I would never have attempted by myself. I am very grateful to them for their persistence and professionalism in guiding me through the recovery process from start to finish. Well done and thank you.